Hudson Chorale, the area’s largest mixed-voice chorus, is poised to please. The group will begin its 2019 season with two matinee concerts on Saturday, January 26, 2019 at 3:00 pm and Sunday, January 27, 2019 at 3:00 pm that highlight Gabriel Fauré’s exquisite Requiem with professional orchestra and soloists, along with a collection of motets by Felix Mendelssohn, Anton Bruckner and Johannes Brahms. There is no better place to experience a concert of sacred music than the magnificent and inspirational Queen of the Apostles Chapel at Maryknoll, 55 Ryder Road, Ossining, NY. Following the concert, the audience is invited to an informal reception to meet and chat with the conductor, soloists, orchestra and chorus members while enjoying some delicious refreshments, along-standing Hudson Chorale tradition. Ticket Prices: Advance Sale-$25; Door-$30; Students-$10. 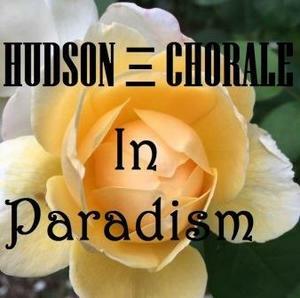 Advanced Sale tickets can be purchased on-line at www.HudsonChorale.org by calling 1-800-838-3006. Handicap parking is available at the venue. For additional chorus or event information, visit the chorus website.